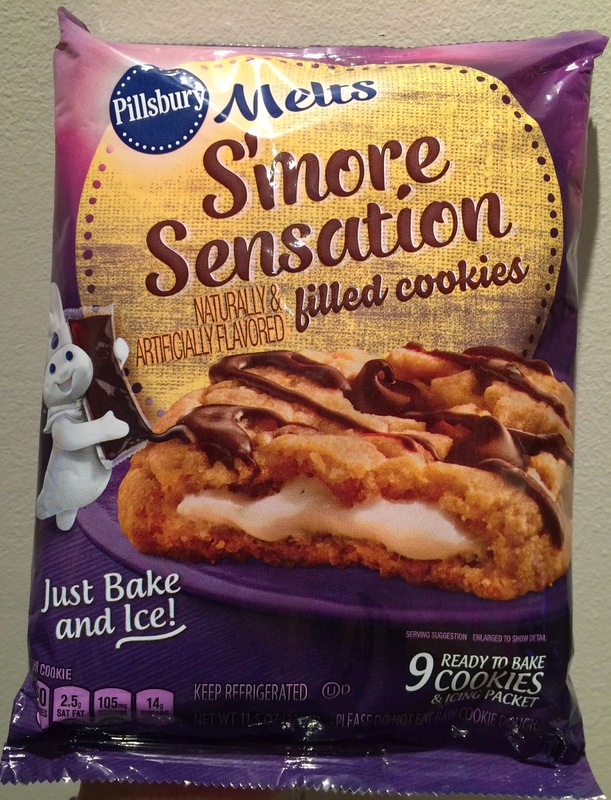 We found ready-to-bake cookie dough at a supermarket in Connecticut, and it's called "Pillsbury Melts S'more Sensation Filled Cookies." 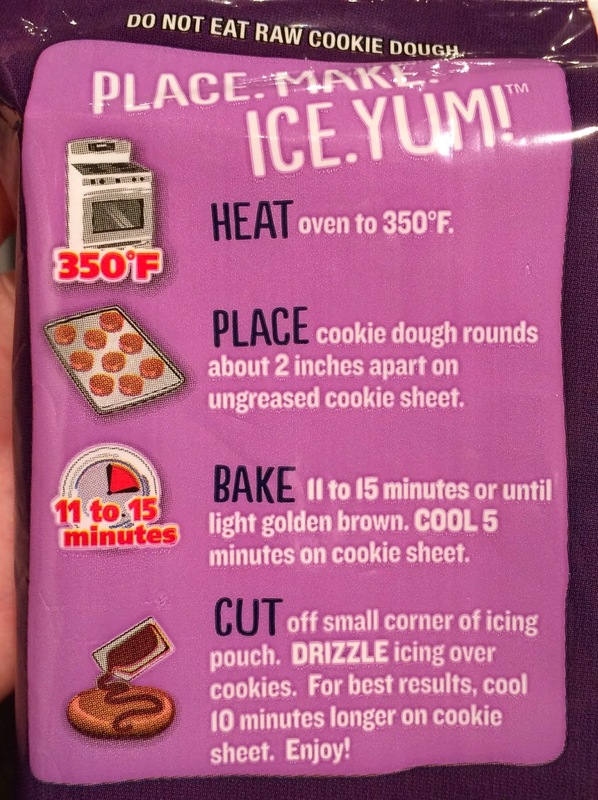 On the back, there's a simple direction how to bake. 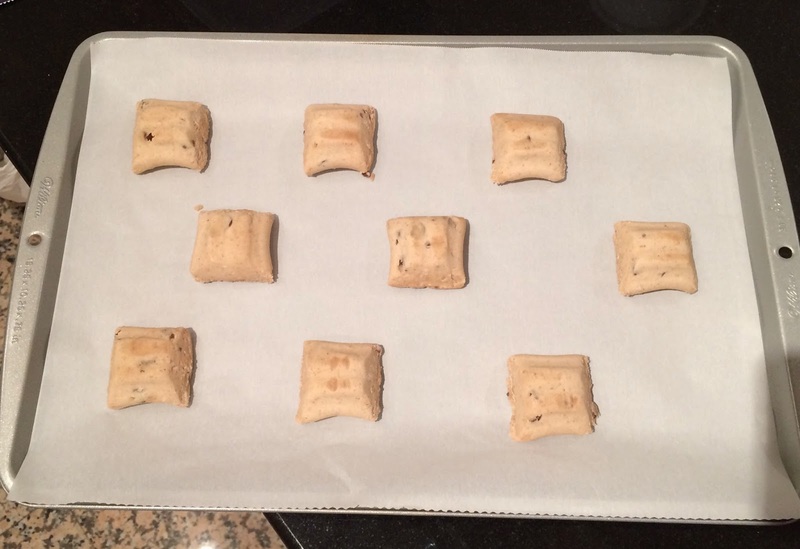 I preheated the oven to 350 degrees in Fahrenheit (177 in Celsius). "Have your dessert and cookie too!" 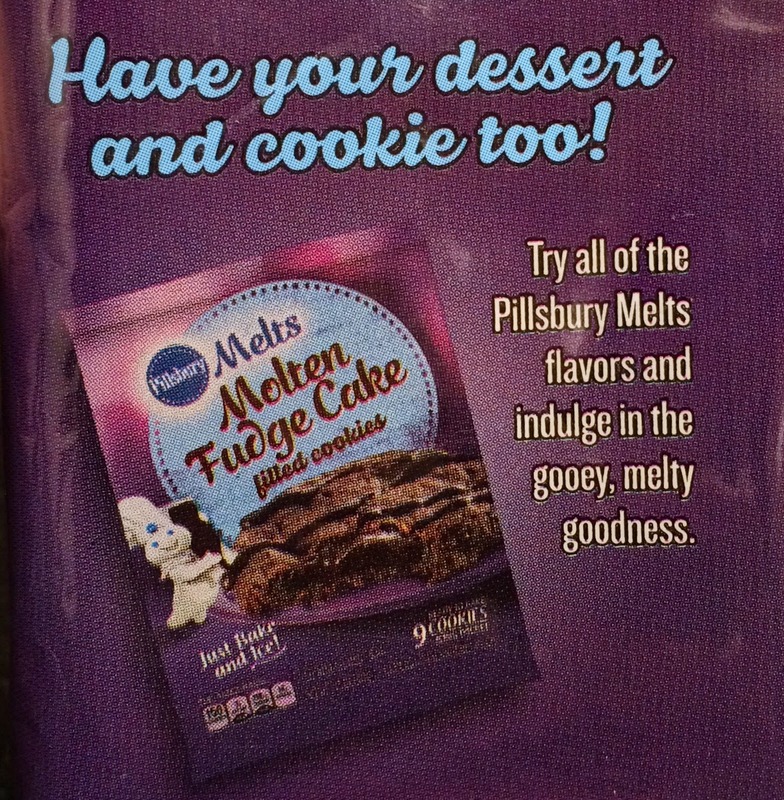 And there's an ad of another Pillsbury Melts Molten Fudge Cake Filled Cookies. I didn't now, but molten chocolate cake is known as lava cake/fondant au chocolat. There're 9 square cubes and a pouch of chocolate sauce in the bag. The direction said to have 2 inches (5cm) apart, so I spread out the 9 pieces as far as I could each other. 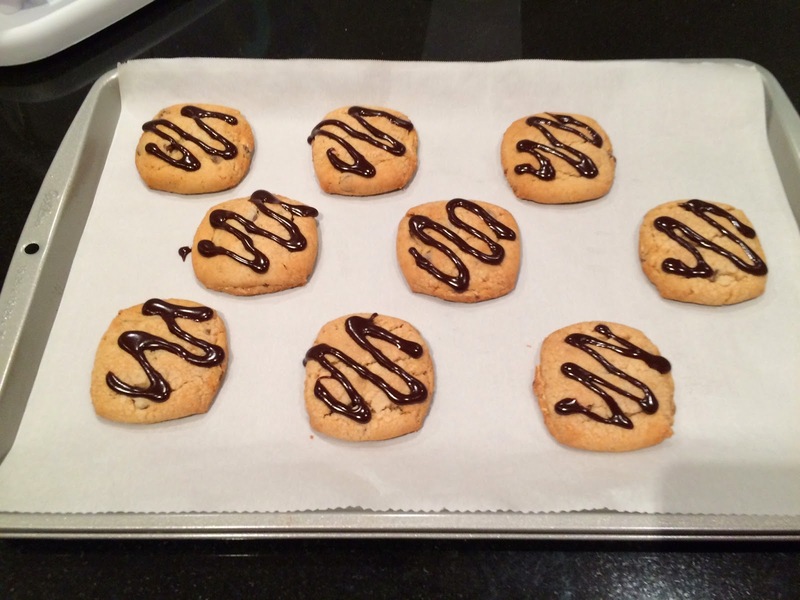 It didn't require parchment sheet, but I used it anyway. I baked for 11 minutes first, which was the shortest suggest time on the package, but the cookies were still pale, so I added another 2 minutes, but they're still not quite golden brown yet, so I added another 2 minutes. 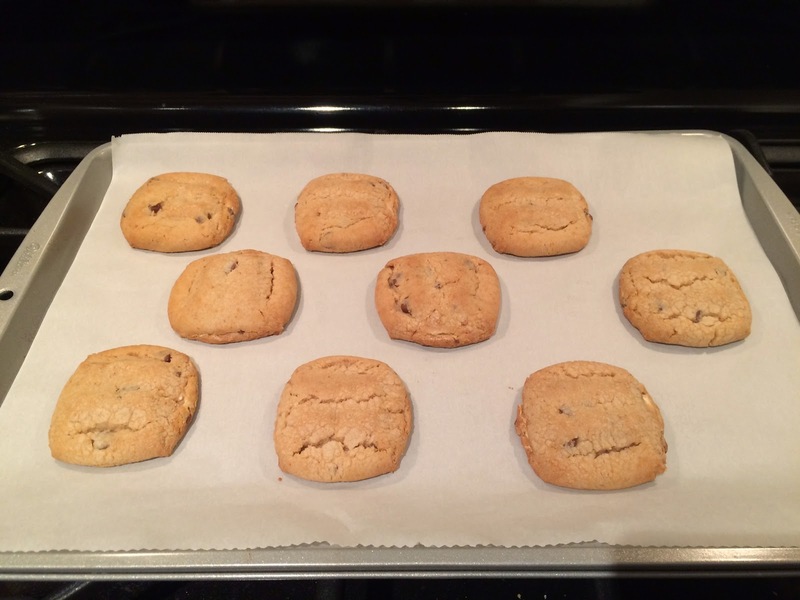 Total 15 minutes of baking, and the cookies were looking good. It said to cool them for 5 minutes, but I think I let them cool longer, like 20 minutes. 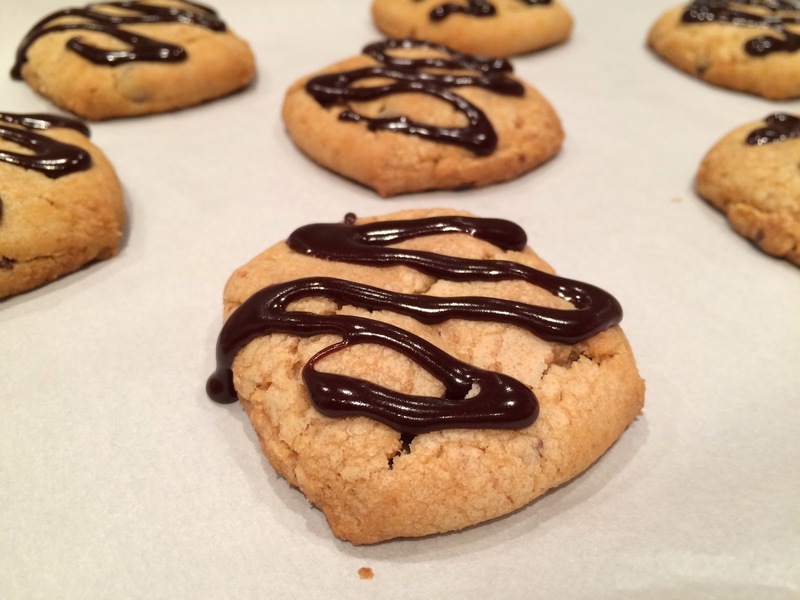 I cut off a small corner and started drizzling the chocolate sauce over each cookie. Before I cut the corner, I heated the sauce between my palms to make it easier to squeeze. The best result was to cool 10 minutes, but I left them for about an hour. 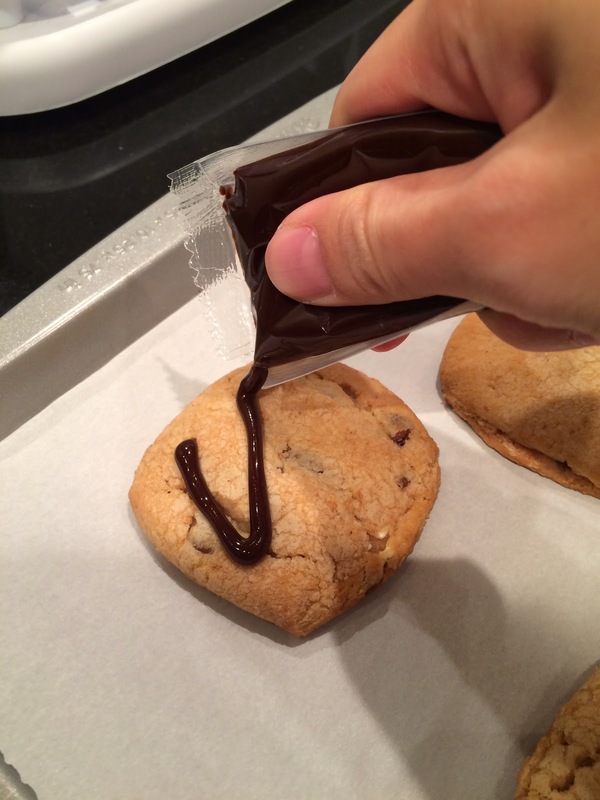 The chocolate sauce was shiny right after I decorated the cookies. But after it's dried, the chocolate looked like frosted glass and had no wet-shine look. 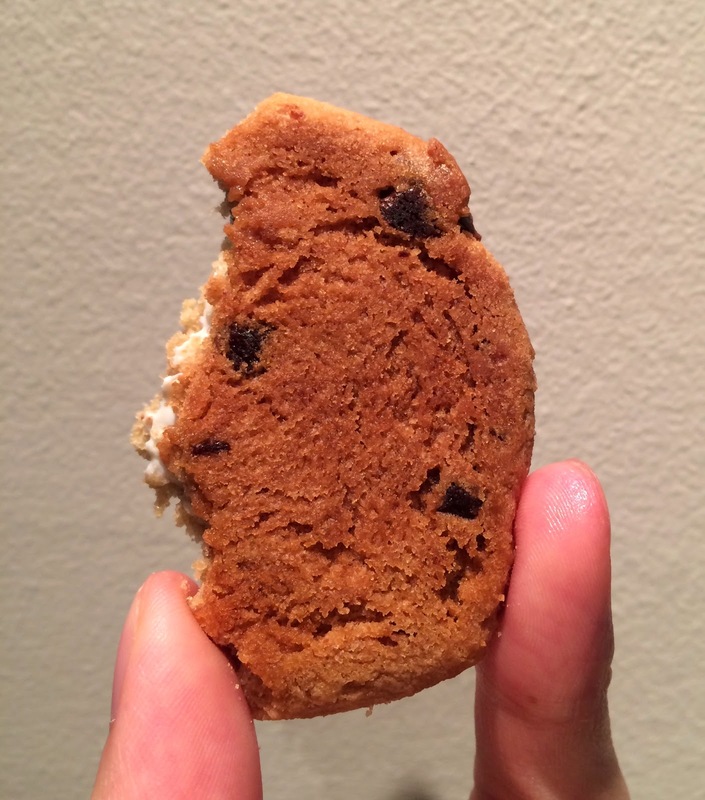 The cookie was crispy outside, and in the center, there's soft and sticky marshmallow. 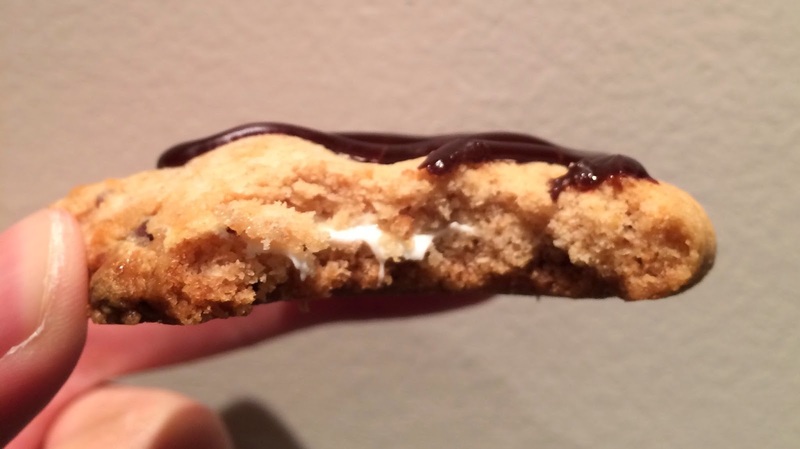 It had gooey marshmallow like it's torched over a fire, soft chocolate sauce over the cookie, and the bottom was crispy and fragrant, and I thought this cookie combined all the aspects of s'more. 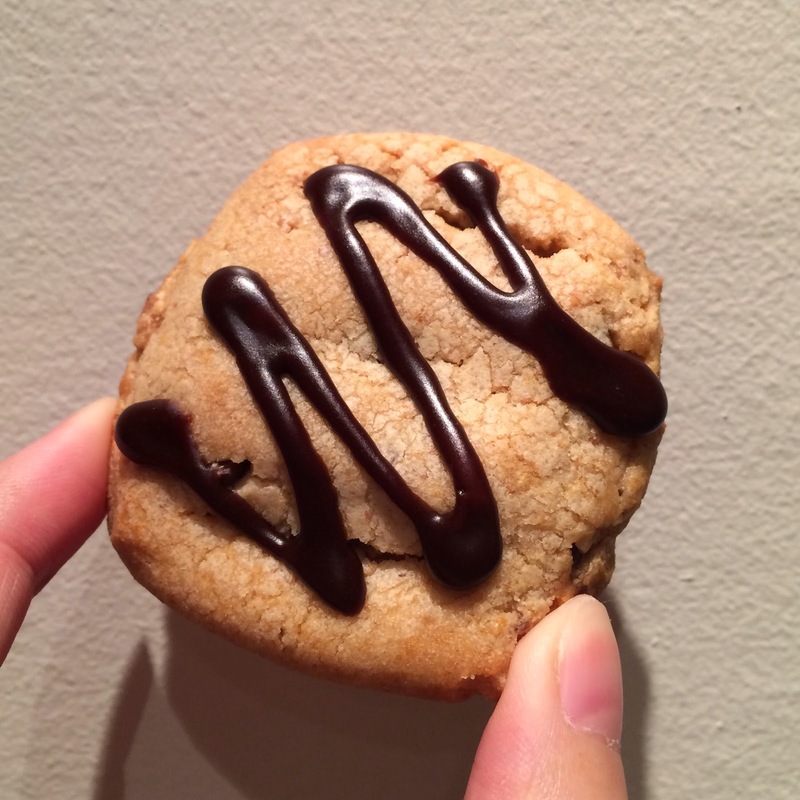 By the way, there're chocolate chips in the cookie dough. 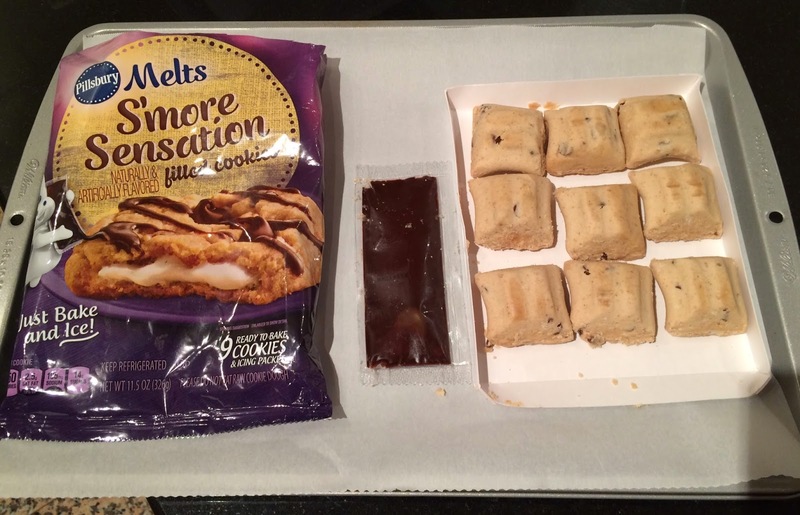 It's easy to bake and they're very tasty cookies!